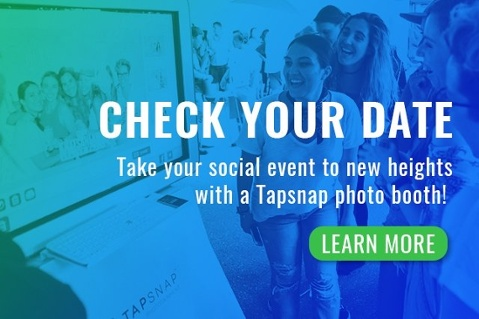 Social media at events is also steadily garnering a lot of attention, and more event professionals are beginning to tap into the power of user-generated content from these events. Most successful event planners have excellent social media aptitude and leverage it wisely to build prominence within the industry. Wondering how it’s done? Here’s how professionals are making the most of social media! At its core, a solid strategy is always the first step for any kind of social media marketing. This extends to event planners as well. When promoting an event or your own event planning business online, a solid strategy is key. Pro tip: the fundamentals for any strategy include establishing goals and S.M.A.R.T. objectives before considering the plan of action. Here’s how to create a social media marketing plan in 6 easy steps. Successful event planners are also well aware of their audience and target them specifically. They also refrain from being over-promotional, but focus on adding value instead. A subtle approach is always better received than an overt one—no one likes a hard sell! A common best practice for social media is social listening. 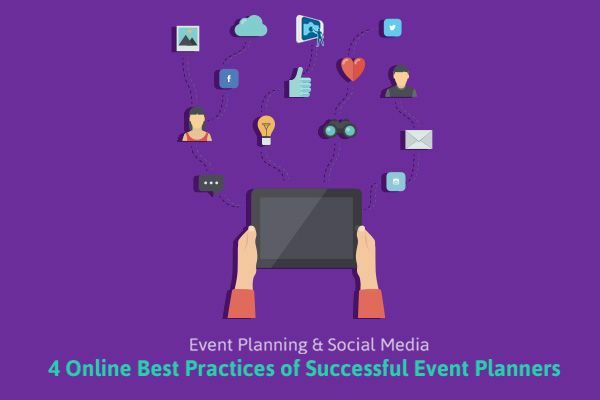 When it comes to event planning and social media, this is no exception. There are many free listening and monitoring tools available online. A few popular ones include SocialMention and IceRocket. Aspiring event planners should always keep an ear out to learn about what people are saying about their events or business and use this as opportunities to connect with potential customers or fans. Keeping tabs on industry chatter, such as latest trends, news, or tricks is also important, and can be used to get ahead of the competition, or simply to build opportunities for collaboration. Successful event planners realize the value in building relations, both offline and online. Social media is all about being social, so aim to have authentic interactions with your followers. Weekly shout-outs, re-sharing (relevant) content, and regularly participating in conversations online via Twitter chats are vital for a thriving social media presence. Remember, no one exists in a vacuum! The relationship between event planning and social media is growing more prominent, and successful event planners aren’t turning a blind eye to it. Social media at events are almost a given these days, so finding ways to leverage its use can prove to be advantageous for both the event and the event planner. Due to its popularity, integrating social media at events has never been easier! A common go-to for event planning and social media is a Twitter wall where tweets about the event are live-casted. We’d suggest taking it one step further with a photo booth! Photo booth rentals are another great way to stand out, impress attendees, and encourage everyone to participate. Guests can easily have a photo taken and then share it to their social media channels instantly using an event hashtag. This not only generates buzz during the event, it also keeps the conversation going long after the event is over—a win for the guests, the event, and the event planner! By keeping these best practices in mind, building prominence within the industry will automatically follow. Remember, social media is meant to humanize your (event planning) business, which is why event planning and social media form the perfect relationship. Building communities and buzz surrounding events using social media will undoubtedly shine a favorable light on your event planning business and skills. Just remember to be present where your audience is and have fun!